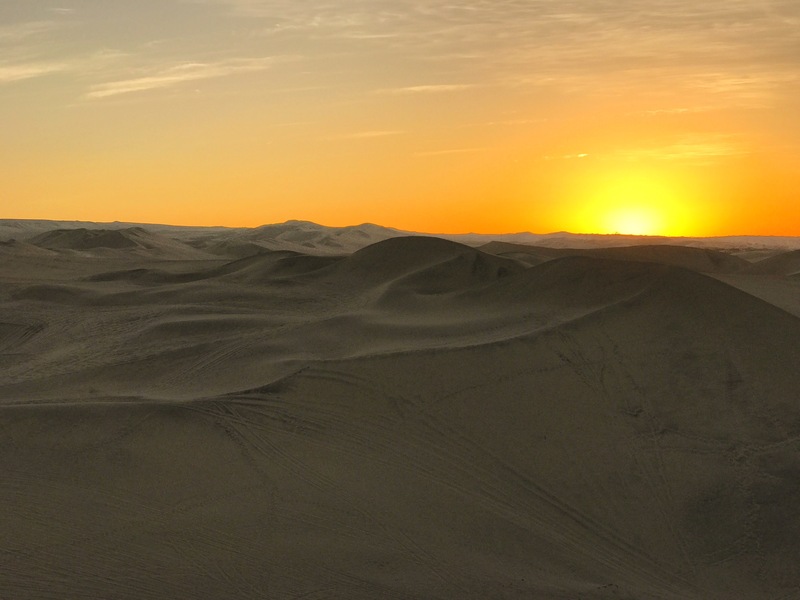 Huacachina is a natural oasis in the south west of Peru. 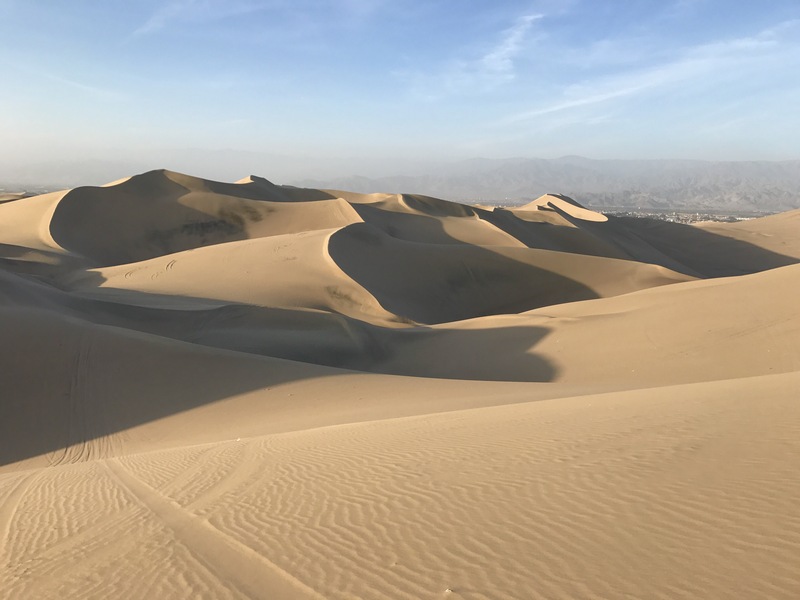 This region of Peru is dominated by desert and therefore was a drastic change to what we have experienced so far in Peru. Haucachina is situated 5 km outside the city of Ica and has now become home to 100 local people. This small village attracts thousands of tourists each year as it is a great place to relax and get the adrenaline flowing. What to do in Haucachjna? On our first day in Haucachina, Courtney and I relaxed at our accommodation soaking up the sun next to the swimming pool. This was a welcomed change, as we have been at high altitude and endured cold temperatures for at least a month now. Mid-afternoon we decided to take some beers and climb up, one of the many sand dunes, to watch the sunset. The dunes stretched as far as the eye could see, and besides from being sand blasted, this was an exceptional sight. We were fortunate as we had a really nice, clear evening which made for a beautiful sunset. 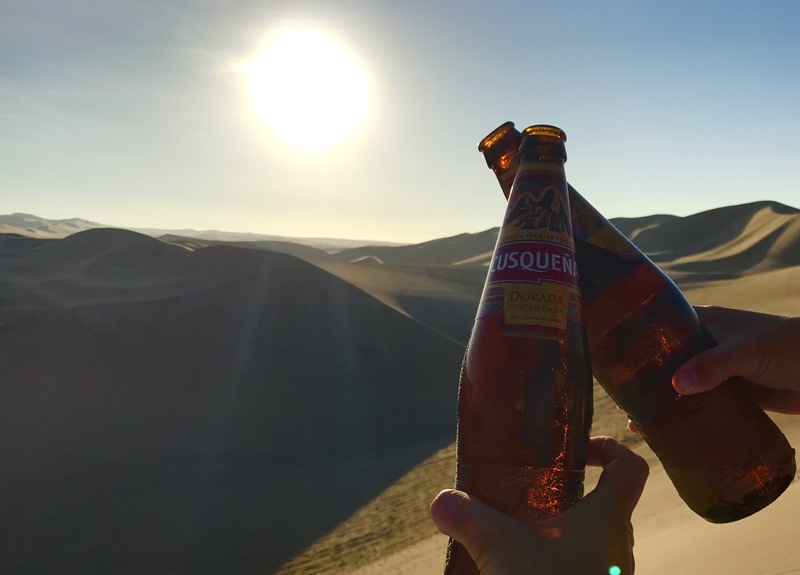 Drinking our favorite Peruvian beer on the dunes of Huacachina. The oasis in the middle of the dunes. 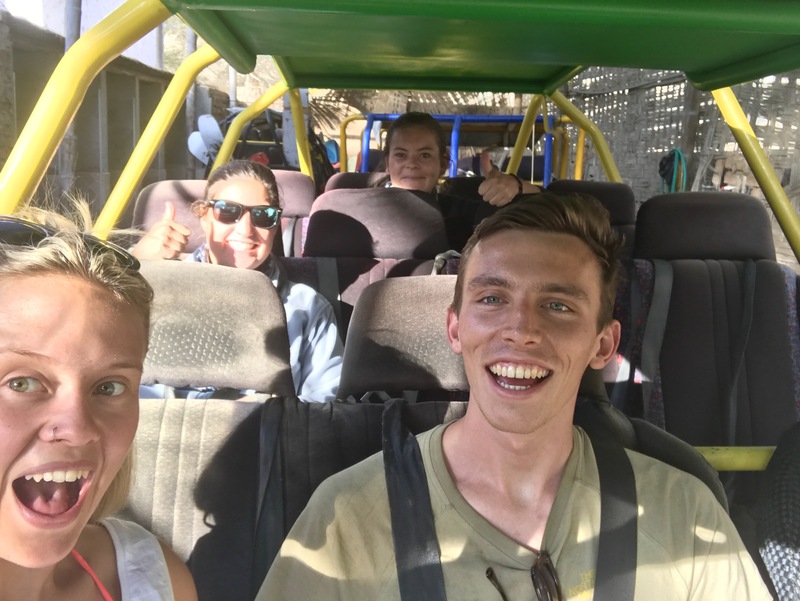 We organized our buggy tour through our hostel, Hospedaje Rocha. This cost us R120 (USD 9) and was so much fun! 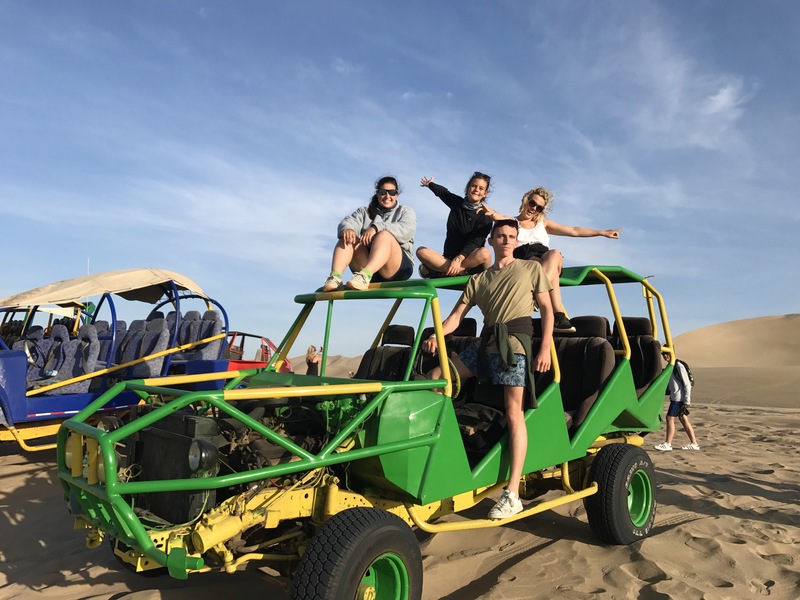 We climbed into our 12 seater dune buggy and set off into the dunes. As soon as we hit the sand our driver made this an unforgettable experience. He whizzed around the sand and went up large dunes. The way down these dunes honestly felt as if I was on a rollercoaster. The first one he did was terrifying as when we reached the top of the dune it looked as though the dune just dropped. But by having faith in our driver we quickly learnt to just enjoy the ride. 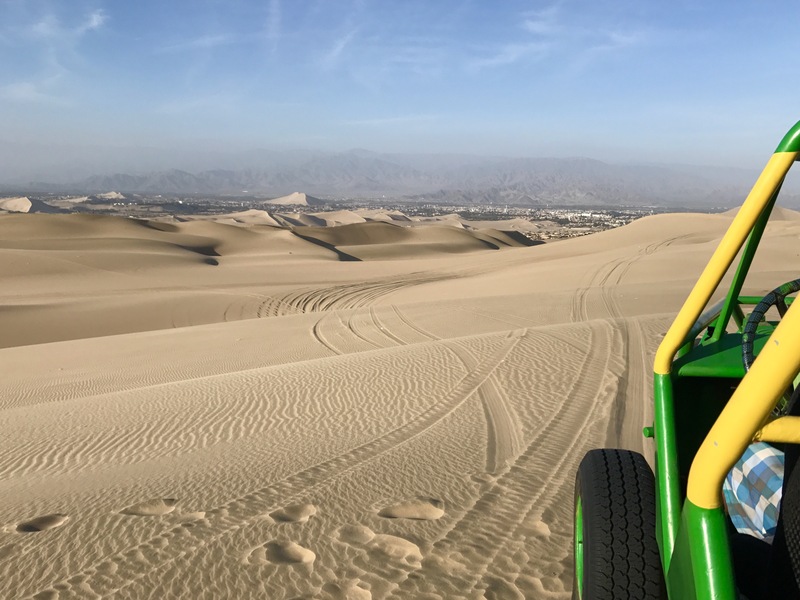 After about 45 minutes of driving around the dunes, our driver stopped the buggy and handed us each a sandboard and told us to go practice on one of the small dunes. We did this with ease and then we were faced with a much harder challenge. When we arrived at our second dune, I honestly thought it was impossible to do as it was so steep. But after watching other people go first, I closed my eyes and went. Within 5 seconds I was at the bottom of the dune with a huge smile on my face. What fun! Our third and final dune was steeper than the second (I didn’t think this was physically possible) and longer. On the way down this dune my stomach was turning the whole way. Scary, but a lot of fun. After the sandboarding we were taken to another dune to watch the sunset. This was really beautiful and we had a much better view compared to our first night. 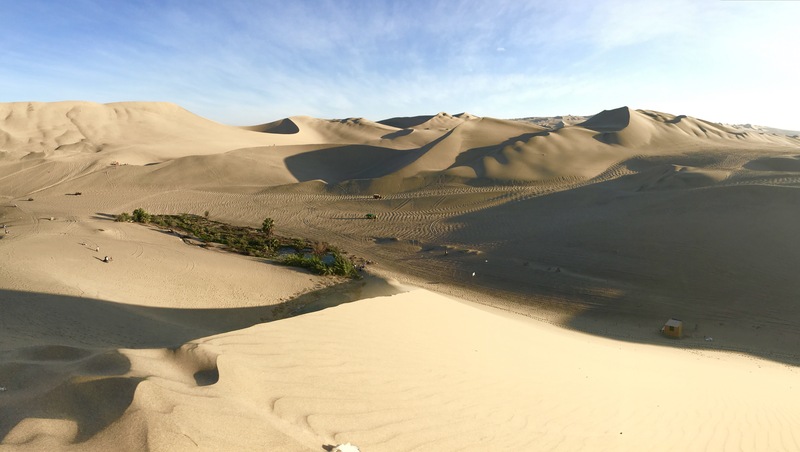 Our final stop was on a dune close to the village where we could get a better view of the oasis. Usually, I would never chose to do an activity like this, but thanks to Courtney’s encouragement I did. 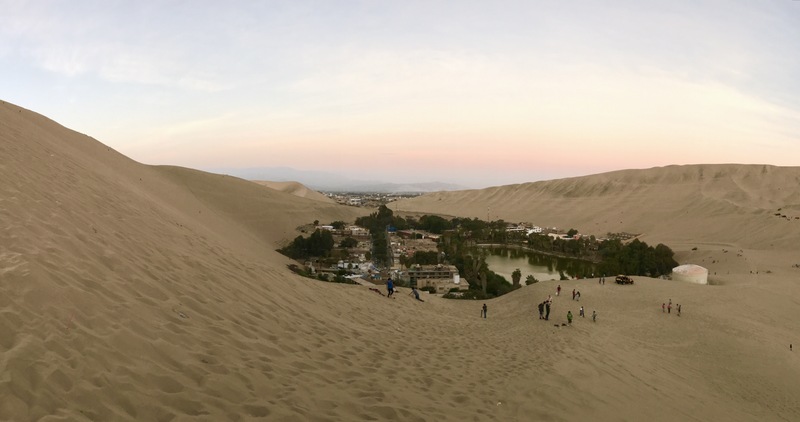 This was so much fun, and made Huacachina a place definitely worth visiting. 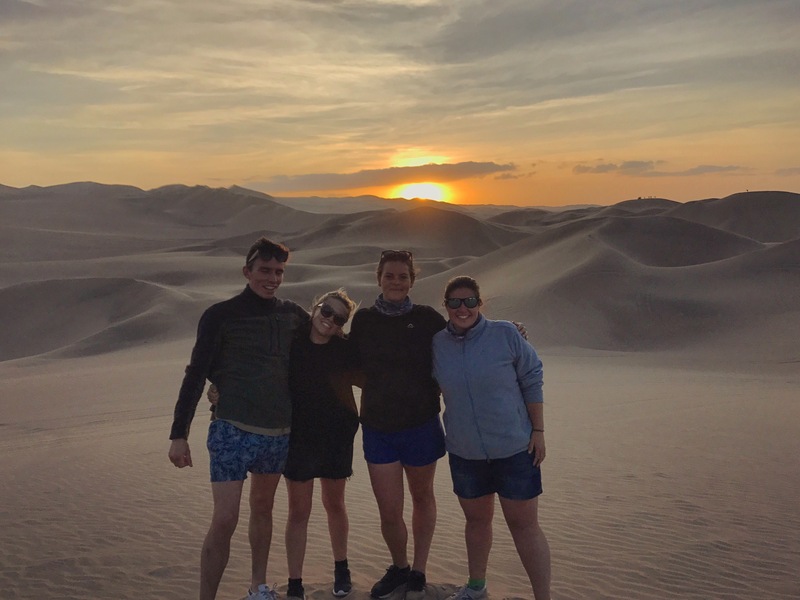 Sam and Olivia were in Huacachina at the same time as us! The view of Ica from the dunes. Ready for action on the dune buggy tour. 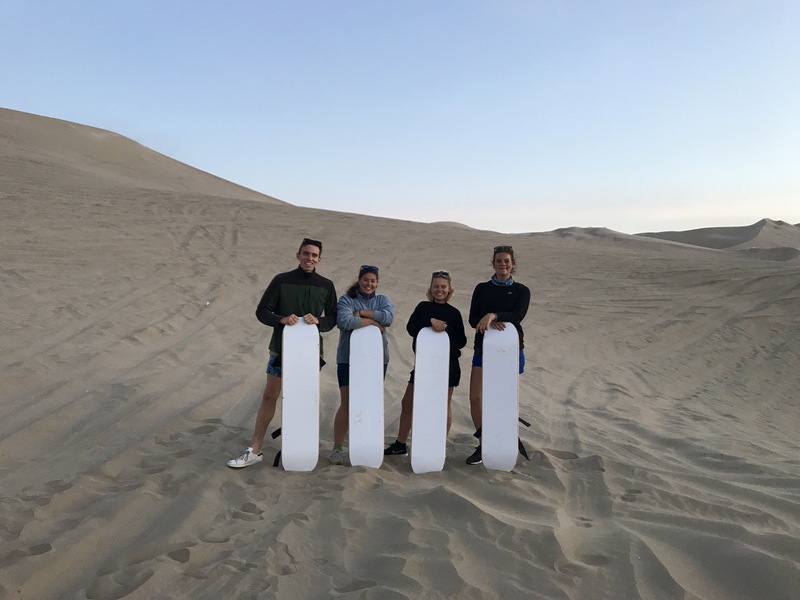 We all finished the sandboarding safe and sound. We were really lucky on our tour. The conditions were perfect. Happy to be reunited, but sad we have to part so soon. On our last day in Haucachina we did a city tour of Ica which include a visit to two wine and pisco farms. To start the tour we visited a local bakery and tried some pastries. Following this, we were driven around the city and shown a few of the major attractions, such as the Plaza de Armas de Ica. After this we got to the section of the tour we were most interested in, the wine and the pisco! 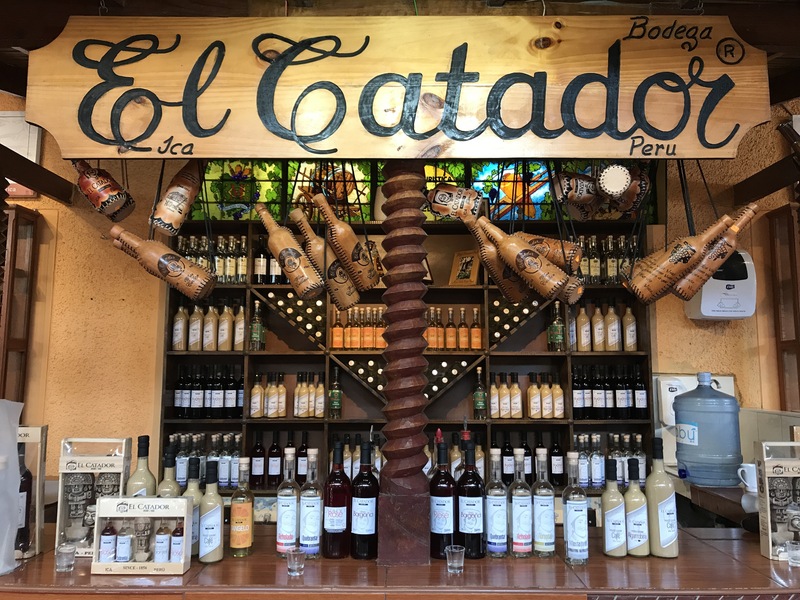 First we went to Bodega El Catador. At this winery we were given a walking tour and our guide explained to us how pisco is made. This was interesting to compare to our tour in Chile, as the process was very different. 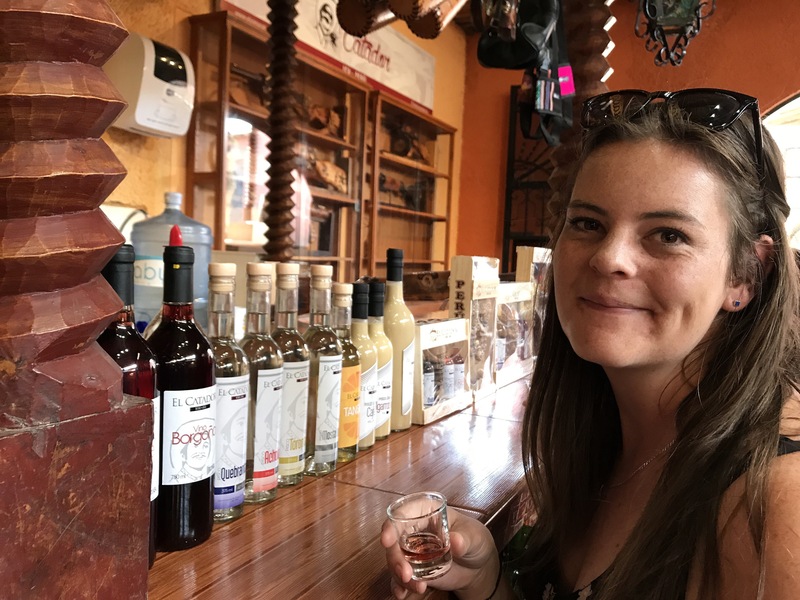 After the walking tour, we were able to taste the winery’s rosè and semi-sweet red wine, and then three different types of pisco. 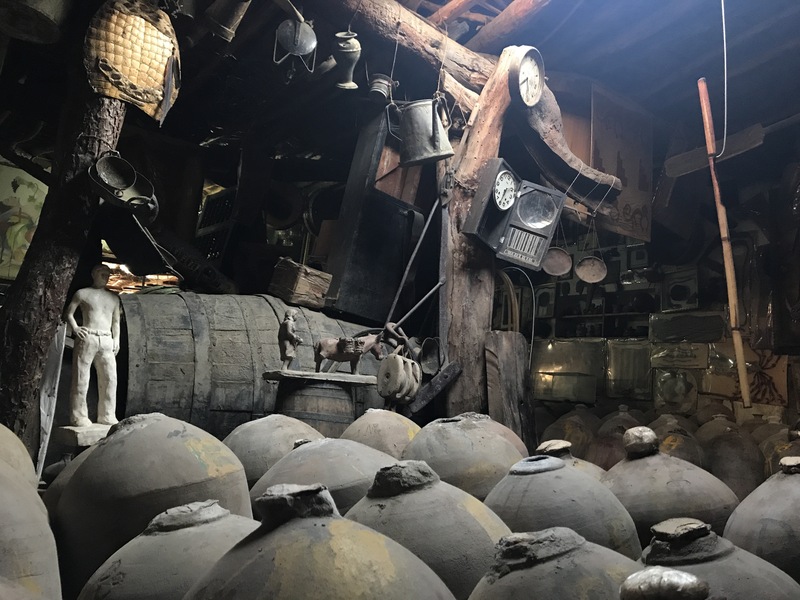 We learnt very quickly on this tour that the Peruvians are only interested in making sweet wines and do not enjoy dry wines. The semi-sweet wine tasted like dessert wine to me. I enjoyed our visit to this winery as it was educational and fun to taste a variety of different piscos. After this we went to another winery, Bodega Lazo, that purely focuses on making pisco. 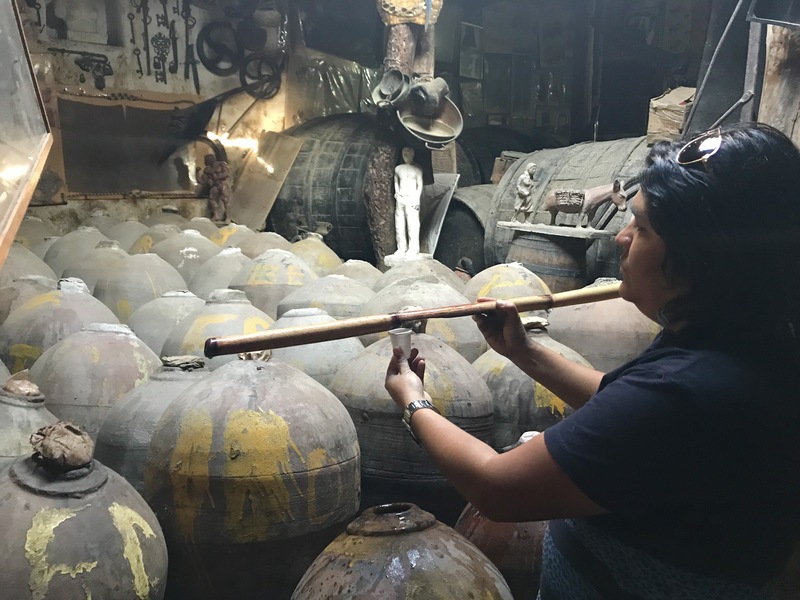 We were able to taste the pisco straight out of the clay barrels. This was a different experience when compared to the first wine farm. But still enjoyable. After this we returned to Haucachina. This tour was nice, but I wouldn’t say a must do. However we have been fortunate as we have done a pisco tasting tour before. 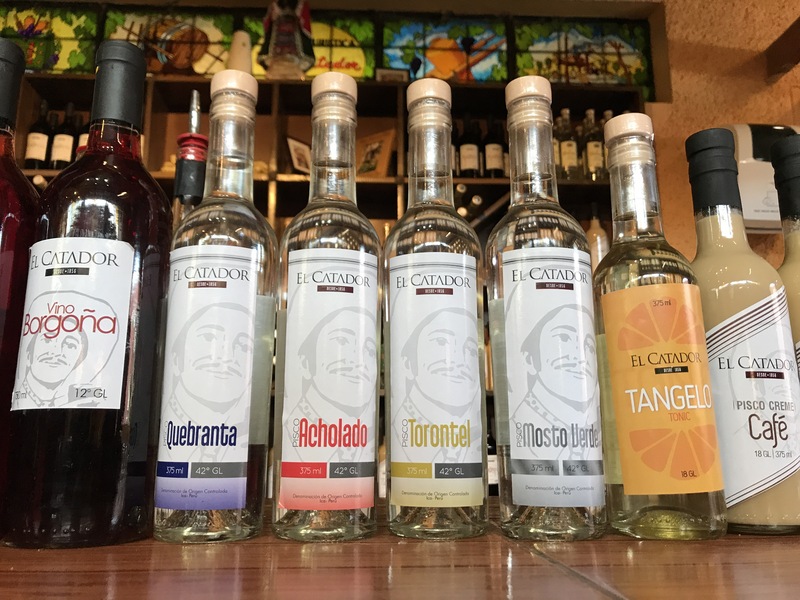 If you are interested in the making of pisco and want to taste different types then I would suggest considering this tour. 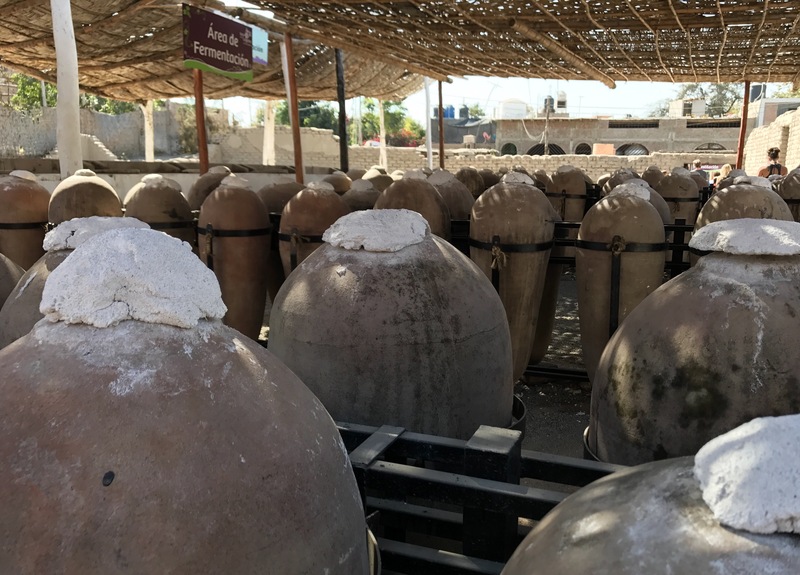 Looking at the pisco in the clay pots at Bodega El Catador. We really enjoyed the cream piscos. Bodega Lazo had a unique charm to it. Drinking pisco straight from the clay pot at Bodega Lazo. 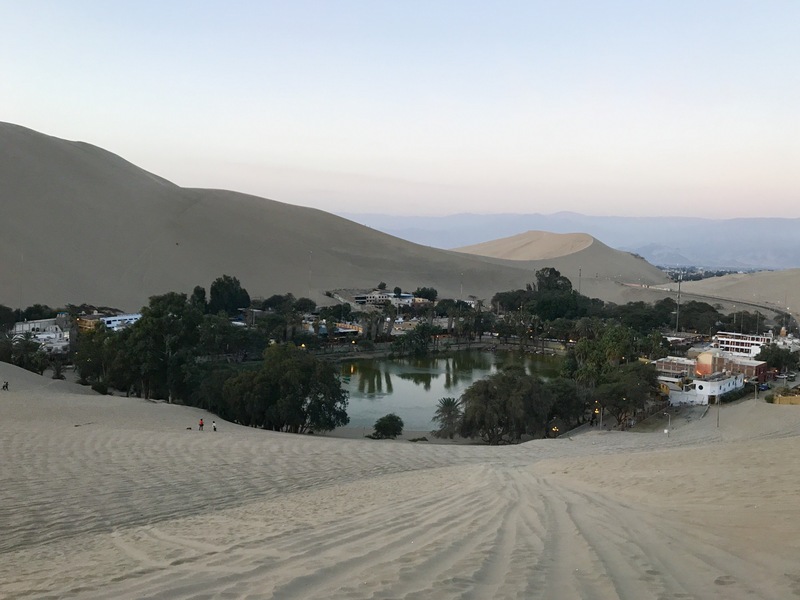 We had a lovely three days in Huacachina. 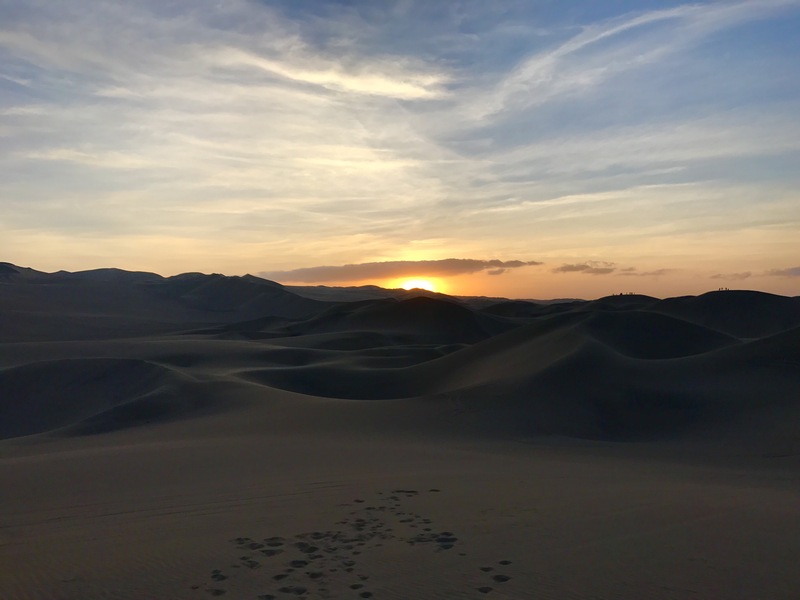 From relaxing in the sun, to eating delicious food, to meeting up with friends, to drinking pisco, to sandboarding and lastly, to looking at a beautiful landscapes this was a great way to see a different side of Peru.